Austin Romine and Ronnier Mustelier. Sometimes, the most meaningful additions to the major league roster are from within. That’s probably never been so important in the Bronx than it is now as the Yankees attempt to reduce their payroll to below $189 million by 2014. To accomplish the goal, the Yankees will need more than one or two low-cost, high reward type players on the roster. I admit that I haven’t been watching the minor leagues as close as I probably should have. I’ve been aware of Romine, the son of former Red Sox player Kevin Romine. For years, his name was always mentioned in the same breath as Jesus Montero as the type two prospects at catcher. With the trade of Montero to Seattle last year, it helped clear the path for Romine. Now, among Chris Stewart and Francisco Cervelli, Romine represents the greatest upside even if he missed most of last year due to injury. I have not been aware of Mustelier, a Cuban refugee the Yankees signed a couple of years ago. But all the guy has done is hit as he’s progressed through the Yankees’ system. He is a utility man that can play both corners, but I’ve seen speculation about him in right field too. He’s old for a prospect (27) but it doesn’t mean that he cannot seize an opportunity in spring training to make his imprint on the Yankees’ roster. If both Romine and Mustelier grabbed key roles for the 2013 team, it will help the Yankees to focus on eliminating other parts of “fat” on the roster and hopefully upgrade the team with lower cost high-producing replacements. Easier said than done, which does lead me to believe the next couple of years will be ones of transition for the Yankees. I honestly cannot see them keeping up with the ‘Joneses’ (i.e., namely the Toronto Blue Jays, Tampa Bay Rays or even the Baltimore Orioles) with the current roster. This doesn’t mean that I envision 95-loss seasons in the immediate future. The Yankees still have too much talent on the roster. But it will be a dogfight for 90-win seasons if the team continues on its current path. A game or two here or there is the difference between making the play-offs as a wild card or staying home for October. As it stands, the most successful teams this off-season, in my opinion, have been the Los Angeles Angels and the Toronto Blue Jays. Of course, the Kansas City Royals added a great pitcher in James Shields even if it did cost their top prospect. The Texas Rangers will be strong again even if they lost Josh Hamilton. I fully expect them to find an adequate replacement for Hamilton between now and the start of the season. The bat won’t be as strong as Hamilton’s bat, but it will be a capable one, I am sure. In the AL East, I still expect the Tampa Bay Rays to be strong despite losing Shields. If I’ve learned anything in baseball, it is to never underestimate Rays manager Joe Maddon and GM Andrew Friedman. 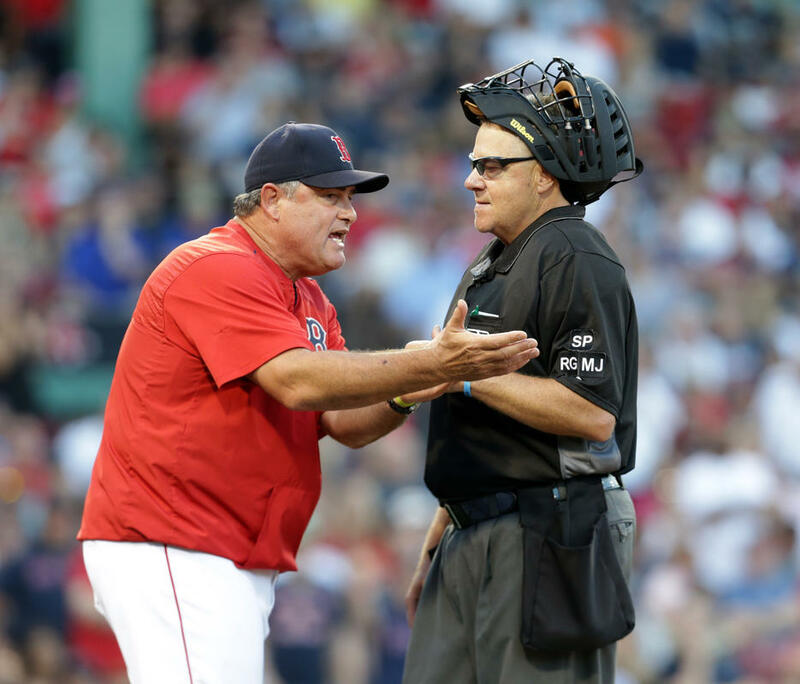 I assume that the Baltimore Orioles will be as strong as they were in 2012, and I expect an improved Boston Red Sox club under the new leadership of manager John Farrell. I still do not see the Steinbrenner family allowing the value of the franchise to erode. Either they make the necessary moves to ensure the continued competitiveness of the team or they sell. The latter is not such a bad idea if it would bring in aggressive new ownership. I cannot find fault with the current regime’s decision to cut payroll to reduce luxury taxes in future years, but the problem is too many bad decisions in the past (i.e., A-Rod’s contract). It feels like the Yankees are going ‘cold turkey’ with their new small market budget mentality. It would have worked better as a slower transition, but of course, the 2014 deadline does not allow for it. Teams like the St Louis Cardinals have proven in recent years that you can win despite not having the best players or the highest payroll. I know that’s the model the Yankees would like to emulate. Going for the best players with inflated payrolls seems to be a ‘play for now’ approach with no sustainability. The key to long-term success is to develop a farm system that allows the introduction of young, low-cost talent every year (in other words, the Tampa Bay Rays). It’s just so hard as a Yankees fan to see the team go from one extreme to the other. Yes, I admit it, I was worried that starting pitcher Hiroki Kuroda was either going to sign with the Los Angeles Dodgers or head back to Japan to pursue his stated intent to finish his career in his home country. Pulling Kuroda out of the Yankees rotation was not a promising thought. Given CC Sabathia’s recent minor surgery, it is no sure thing that he’ll be Mister King of the Hill when the season rolls around. After CC, there is nothing but question marks. As it stands, the rotation would be Sabathia, Kuroda, Phil Hughes, Ivan Nova and David Phelps. Nothing against the latter three, but all of them carry their own questions and concerns. The Yankees are not going after a prize free agent pitcher, so they would have been left to try and find a diamond in the rough. Fortunately, that’s no longer a concern, particularly if the Yankees get a return engagement from Andy Pettitte. In the back of mind, I did feel that Kuroda would stay in New York due to a sense of unfinished business. In his final season with the Los Angeles Dodgers, I remember he had veto power on trades and he made a comment that he wanted to finish the season with the guys he started the year with. He struck me as a loyal and honorable player with those remarks, and despite rumors he left money on the table from other prospective clubs, he made the decision to return to New York on a one-year, $15 million deal. This may be his second and final season with the Yankees, but he’s certainly proven to me that he has a great deal of integrity with a genuine respect for the game which places him among the upper echelon of guys who have put on the pinstripes. As for the other two notable Yankee free agents (Rafael Soriano and Nick Swisher), I am indifferent about who they sign with. I would prefer to see neither player sign with an AL East club, but then again, they have to find the best deal for them wherever that may be. I saw some speculation that the Boston Red Sox might go after Swisher, but after their signing of former Oakland A’s outfielder Jonny Gomes today, I wonder if it lessens their interest in Swish. I am concerned about right field, but I have to trust that GM Brian Cashman has a plan. His trade for Swisher a few years ago was inspired, and I am sure they’ve scoped the league for players who are long on talent but have underperformed to this point. Logan Morrison of the Miami Marlins is one player who immediately comes to mind. Once we get past Thanksgiving and to the Baseball Winter Meetings, we should start to get a better idea of what the Yankees game plan for 2013 looks like. I am sure that there will be late moves in January or early February, but at some point, the Yankees have to do something to improve their roster. Complacency in the AL East will only buy you last place. There hasn’t been much talk about catching, but I wonder who’ll be the backstop in 2013. Russell Martin has not been a priority so the potential increases every day that someone steps forward with a reasonable offer that entices Martin to bite. I get the sense that if he is healthy, Austin Romine may see some time behind the plate. It’s too bad Gary Sanchez is still so far away in the minor leagues. I was surprised to see the Toronto Blue Jays bring back former manager John Gibbons, but then again, they brought back Cito Gaston for a second tour of duty (when he replaced Gibbons a few years ago). Gibbons must be jazzed about getting control of his old team combined with the influx of great talent through the trade with the Marlins that brought Jose Reyes, Mark Buehrle, Josh Johnson and Emilio Bonificio to Ontario. Of course that adds pressure to the job due the increased expectations. I was still surprised that the Jays didn’t try to keep Torey Lovullo (who followed John Farrell to Boston) given the recent trend to go with younger, unproven managers (ala Robin Ventura, Don Mattingly, Walt Weiss, Mike Redmond, etc.). Not that Gibbons is old (he is only 50), but he does kind of have that ‘been there, done that’ stigma attached to him. Speaking of the Marlins, I wonder how their new hitting coach Tino Martinez feels about the team now. He signed with the Marlins just prior to the blockbuster trade, so the roster looks completely different now than it did when he joined Miami. He’ll have his work cut out for him as the Marlins unveil a largely unknown roster when play resumes in April. Now that the News Corporation has acquired a 49% stake in the YES Network, I wonder how much influence Rupert Murdoch will have on the Steinbrenner family. The YES Network is dependent upon the success of the Yankees, and if Hal’s imposed budgetary constraints on the Yankees result in diminished performance, how loud does Murdoch become? People will not pay premium dollars to watch a 70-win team on the field. The Steinbrenner family insists this is not a prelude to the possible sale of the Yankees, but then again, Hal and Hank were always reluctant to join the team’s management when their dad was alive and healthy. For years, it seemed like a Steinbrenner son-in-law had more interest than a blood-born Steinbrenner (outside of George, of course). If someone told me that I could make billions, I am sorry but I’d have to let go of my affection for the Yankees. If Hal is so focused on the bottom line, I believe that inevitably he’ll seek to cash out when the team is at an optimum potential sales price. The next couple of years will be very pivotal years for the Yankees franchise. The Los Angeles Dodgers remain my second favorite team (otherwise known as my favorite National League team), but I maintain my reservations that they want to become the new “Yankees”. It is not outside of the realm of possibility that they’ll surpass the Yankees in total annual salaries. Yes, I am tired of simply buying players. I do like the good old fashioned trade to help subsidize home-grown talent. For years, that was the Dodgers’ business model and it is one that has helped propel the San Francisco Giants to two World Championships in three years. I remain a devout Don Mattingly fan, but I hope that the organization is not creating expectations so great that Donnie Baseball can’t survive. Then again, there is the scenario that the Yankees and Dodgers regress, and both Joe Girardi and Mattingly are fired, setting up the potential return to New York for the now experienced manager Mattingly. 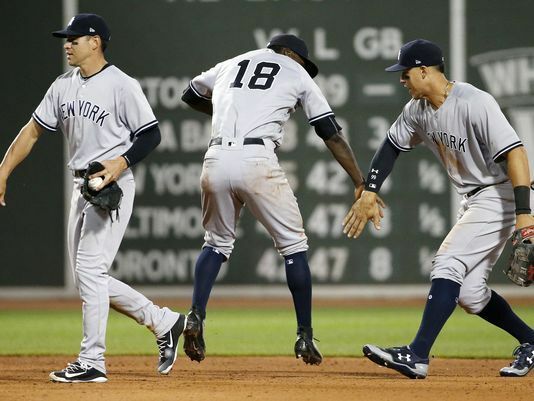 Sadly, the 2012 season is over for the New York Yankees. But admittedly, I did not feel the team had the horses to win the World Series this year. I know, any team can get hot and take the championship (i.e., 2011 St Louis Cardinals), but the team’s hot and cold hitting pattern bothered me. As the saying goes, “good pitching beats good hitting” so the Yankees’ hitting problems are magnified in the play-offs as they continually face #1 or #2 type starters. If Robinson Cano had gotten hot, maybe it would have been different but no one rose to the challenge in the ALCS against the Detroit Tigers. The ALCS loss by sweep was painful. For me, it probably ranks with the 1976 World Series when they were swept by the Cincinnati Reds. If memory serves, they won the World Series the following two years so I guess there is hope for next year! Well, maybe not. But all things considered, I’d rather be embarrassed on the ALCS stage than the World Series. That’s probably awful to say because who wouldn’t want their team in the World Series and I am no different. But I wouldn’t want to see the Yankees looking as pathetic in the World Series as they did in the ALCS if that makes any sense. On the heels of Derek Jeter’s successful ankle surgery that will have him out for 4-5 months, there are reports that CC Sabathia will be consulting with Dr. James Andrews for his ailing left elbow. Apparently, the ligament is intact so there’s hope that either rest or minor surgery to shave the bone spur in his left elbow will be the cure. This definitely bears close watching over the course of the next few months. 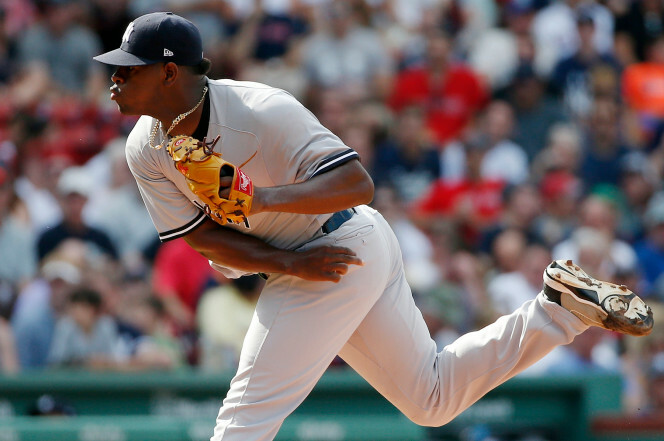 If CC is unavailable to pitch in 2013, the Yankees would be lacking a legitimate #1 starter. I have not heard how Michael Pineda has been doing, but he’ll be expected to help fill the void in the rotation regardless of what happens to CC, assuming that he is healthy. This was a difficult year for young Yankees pitching prospects, with injuries to Dellin Betances and Manny Banuelos, the latter of whom will be lost for 2013 due to Tommy John surgery. The Yankees really need to do what it takes to ensure that Hiroki Kuroda returns for one more year, and hopefully, Andy Pettitte will decide to go for one more tour around the American League. With the Houston Astros moving to the American League in 2013, Andy would be assured of playing a few league games at home. It would be a great farewell tour with Andy pitching in Houston while standing on the mound with the interlocking N-Y on his hat. Another year in, and I still don’t know what the Yankees have with Phil Hughes. At times, he is so promising, but others, such a disappointment. I am not sure that he can be trusted to be anything more than a #5 starter with his inconsistency. The Yankees have tough decisions to make on both Hughes and reliever Joba Chamberlain, two pitchers who have seemingly been intertwined since they arrived in New York. I am concerned about Alex Rodriguez and the huge adverse impact of his contract on the team. The production no longer matches the pay, and of course, the pay prevents those dollars from being spent more wisely. The Yankees will have to settle for “less” in other areas, which will further handicap the team’s productivity. If the Yankees can find a way to move A-Rod, regardless of the cost, I would be in favor of it. I’ve never been a big A-Rod fan, and I would prefer to see his association with the Yankees eliminated. I want the Yankees to re-sign Robinson Cano, but if the cost is a 10-year, behemoth mega-million contract, I am not so sure the team should go down that road. I am tired of these long-term deals where the player only performs to the level of the contract for the first few years. Cano’s silent bat in the play-offs also was a red flag for me. It’s disappointing because Cano has been one of my favorite players, but the future of an organization should not be tied to one or two players. The St Louis Cardinals are an organization that always seems to make the right decisions for the good of the team, and it has worked out well for them. They are a win away from the World Series despite letting one of the best hitters in baseball walk away last winter. I do not want to be disrespectful of Derek Jeter and I recognize that he had a great 2012 season, but the fact remains that he’ll be a 39-year-old shortstop coming off ankle surgery heading into next season. When the Yankees signed Mark Teixeira, it looked like a great signing…much better than the previous first base commitment to Jason Giambi. 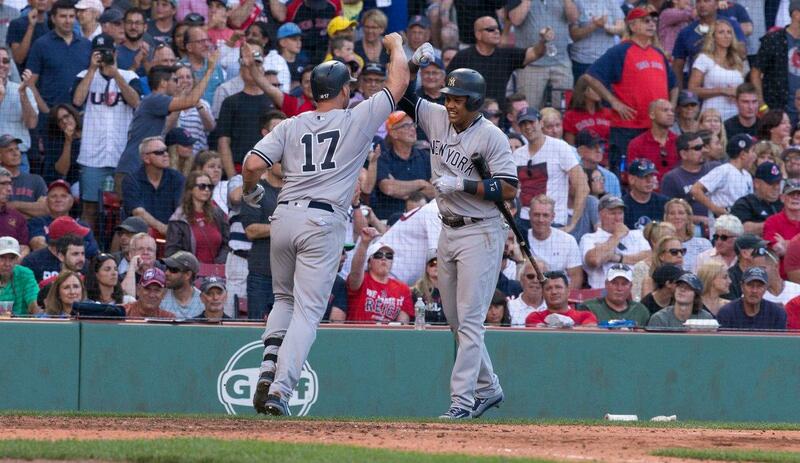 But after a great 2009 season, Teixeira has not been the feared hitter that I thought he would be. He has been great defensively, but never delivers the key, clutch hit. Those ice cold starts to begin seasons are getting longer and longer. I do believe the Yankees need to re-sign catcher Russell Martin. I’d also like to see them either invest in a stronger back-up catcher or commit to Francisco Cervelli over Chris Stewart. I had great respect for Eric Chavez when he was the starting third baseman for the Oakland A’s early in his career, and I’ve thought he was a great role player for the Yankees over the last couple of seasons. But now is the time for the Yankees to move on and find a strong, reliable third base option to spot A-Rod (or replace him if they can somehow find a way to move A-Rod to Miami or Phoenix). In the outfield, I am hopeful the healthy return of Brett Gardner will be a positive. I have mixed feelings about re-signing Ichiro Suzuki. I thought he rebounded to have a very productive end of the season, but the Yankees are too full of guys nearing or at 40 years of age. A healthy Gardner can replace what the Yankees have in Ichiro…well maybe not the hitting ability, but all other components of his game. I like Curtis Granderson and even though he underperformed in the play-offs, I would still like to see his return. I’ve been a big fan of Nick Swisher, and have appreciated how his personality lightens the Yankees clubhouse. But right field is an area in need of improvement. If the Yankees can get Swisher to re-sign for a reasonable amount of dollars and years, maybe it makes sense to bring him back. But if his expectation is 5-7 years at dollars approaching $100 million, then the team should let him walk. I am not in favor of bringing either Andruw Jones or Raul Ibanez back. Ibanez had some tremendous hits in the play-off series against the Baltimore Orioles, but the Yankees need to strengthen their bench with younger players who have greater upside. I am glad to see the Yankees commit to both GM Brian Cashman and Manager Joe Girardi for the 2013 season. I think both, if given the resources and support, can bring the team back to championship level. 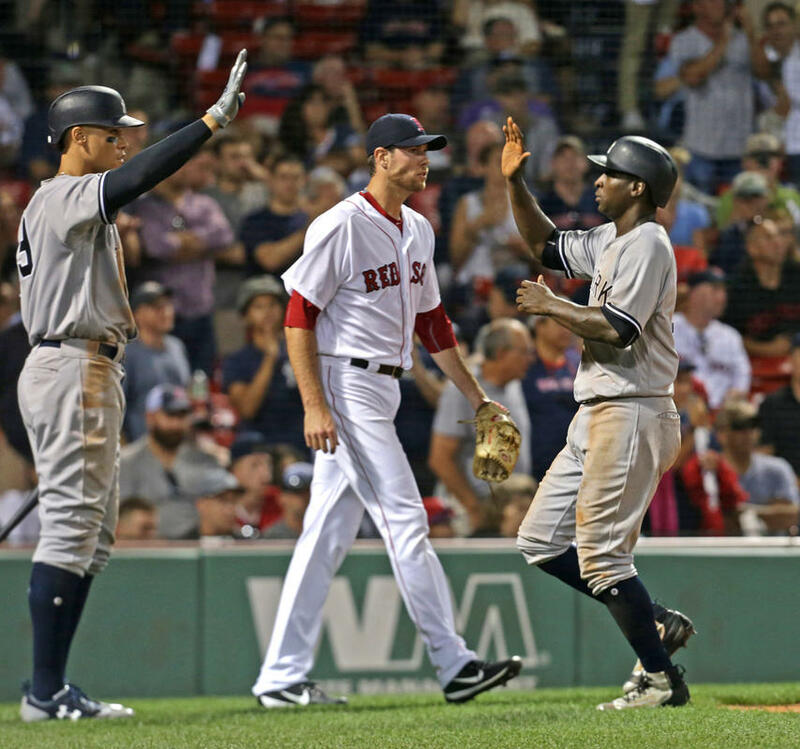 At this point, the Yankees seem to be in an inferior position to the last place Boston Red Sox in terms of roster flexibility. 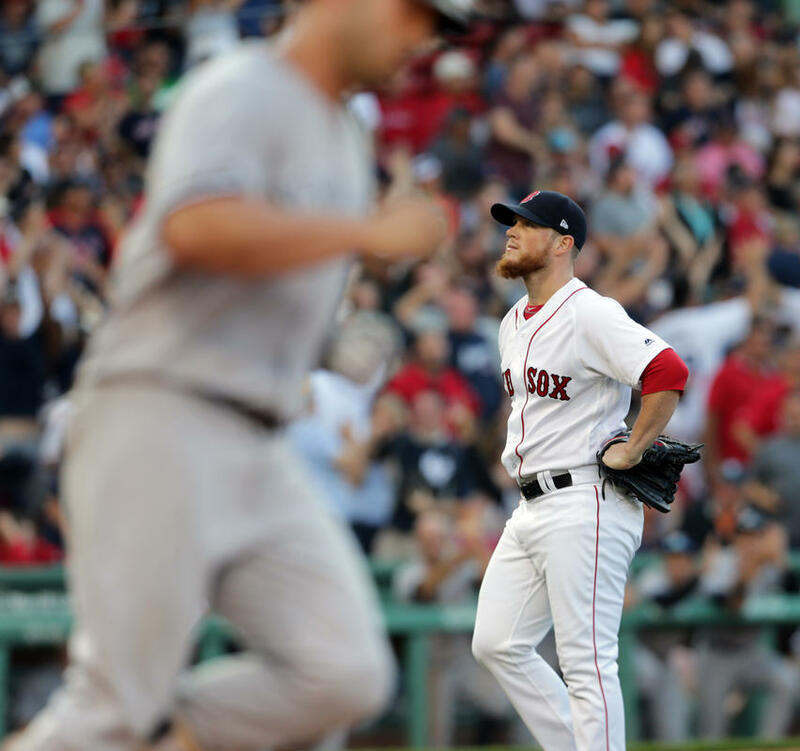 The Sox ability to unload dead contracts on the Los Angeles Dodgers late in the season was huge. Now that the Sox have their guy as manager (John Farrell), there’s no doubt that we’ll see an improved Red Sox team next season. If the AL East was highly competitive in 2012, it will be even more so in 2013. The difference between first and last place could be which team makes the best decisions this off-season. The margin for error will be less than it has ever been. I hate to be so doom and gloom, but the Yankees have much work ahead of them. Despite baseball’s highest payroll, they have a team comprised of older ballplayers that are experiencing the inevitable declines in production. The dollars committed to unproductive players like A-Rod and Teixeira are an albatross for a team that wants to reduce its payroll by 2014 to avoid excessive financial penalties. The Yankees do have the talent in the front office and certainly the resources to persevere so how they navigate the next few months will determine if the Yankees are a team of promise and destiny at the start of the 2013 or just another aging ball club that has seen its better years. Despite being an American League fan, it will be hard for me to cheer for the Detroit Tigers in the World Series. With the Cardinals holding a 3-2 advantage against the San Francisco Giants heading into tonight’s NLCS Game 6, my preference is for the Giants to somehow find a way to overcome. But if they are unsuccessful and the Cards advance to face the Tigers, I will pull for St Louis. Residing in the Bay Area, the Giants are a “hometown” favorite for me; while the Cardinals are a “sentimental” favorite (my first major league baseball game as a kid was in St Louis). Plus, as a fan of the Minnesota Vikings and San Jose Sharks, it would be tough for me to pull for any city that boasts the Lions or the Red Wings.